Australia is on the top favorite teams in Cricket for a long time now. The organized play in the team has helped them achieve a lot of success from time to time. It is evident that Australian Cricket fans have enjoyed a lot of their team games because they end up on the winning side more number of times compared to any other team on the earth. Quality players and effective technology usage have helped them gain control over the game to win in an easy way. It is a known fact that Steve Waugh is one of the greatest captains the cricketing world has ever seen. The number of world cups taken home by the Steve Waugh is one and Ricky Ponting is two . There are various factors to consider while preparing for a world cup because you have defeated all set teams to win the title in an effective way. Steve Waugh is known to have brought up the positive environment in the dressing room, which remained all through the Ricky Ponting tenure. Both Waugh and Ricky started their career at the young age of 20 and continued to play for a long time. 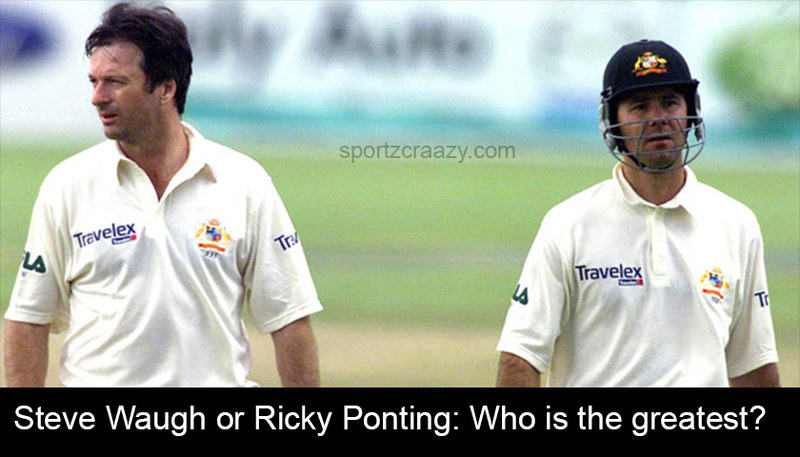 Steve Waugh has played for 19 years and Ricky Ponting has played for 17 Years. Both have a similar experience regarding international cricket tenure, but things change based on the team and the quality players around. It is necessary to evaluate the player based on his consistency to determine the quality in all game formats. Both Waugh and Ponting showed a consistent performance all through their tenure irrespective of other roles of the team. Steve Waugh is a middle order batsman, who plays 3 down from the top. The chances of him scoring runs is lesser than the top order because he has a certain kind of responsibilities to make his team score well depending on the opposition. Steve Waugh is consistent and sticks to the screase for a long time to support other players. 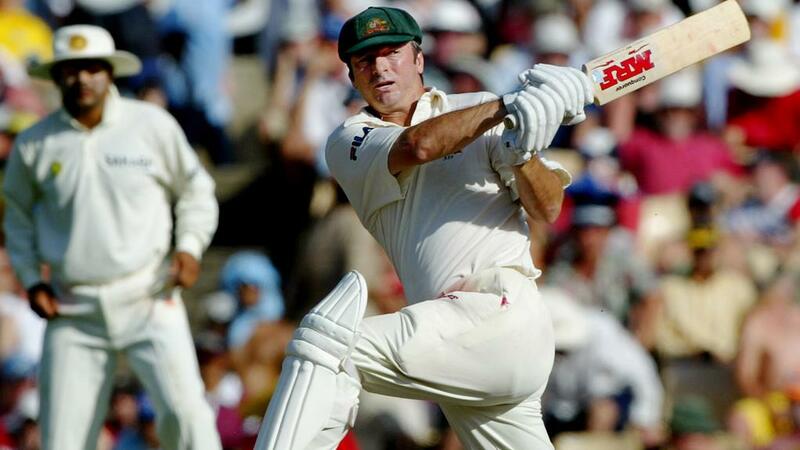 Steve Waugh is a Right handed batsman, who had the knack to rotate strike in an effective way. Those were the times, when players to play their part to hit the opponents psychologically. Steve Waugh was a wonderful test batsman, who owns a lot of records and achievements on his feat. Steve Waugh was said to have played more than 9 hours in Frank Worrell trophy in 1995 played against West Indies. There was a tough time for the Team and West Indies were on their edge and dominating the world cricket. Steve Waugh managed to score 200, but managed to stay on crease for a long time to avoid losing the match. The match was still lost, but an efficient effort was highly appreciated by people all across the world. Ricky Ponting is a class batsman, who entered the team with exceptional batting skills. It is a known fact that Sachin Tendulkar was compared with Brian Lara and Ricky Ponting because he shared the class of string shots with perfection. The number of runs are more with Sachin Tendulkar, but Ponting made his name decently in the batting department. He has a massive 41 centuries in test cricket and 30 ODI centuries in his long span of a career. 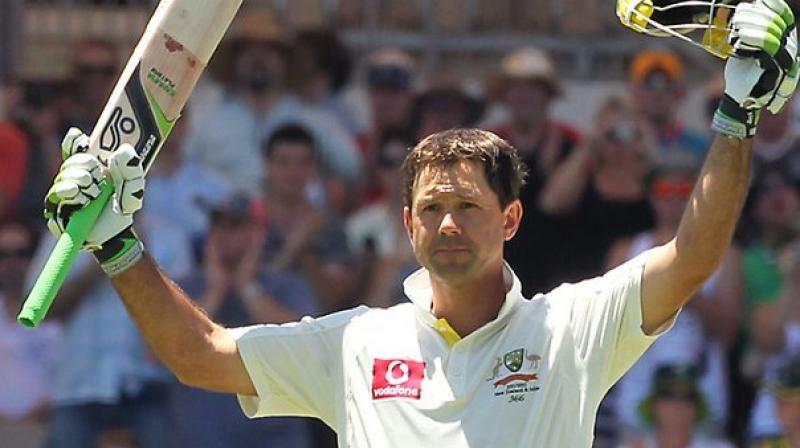 Ponting usually bats in the front and his job was to give a good start to the team. As openers in the Australian team were only focussed on hard-hitting, it is evident that the batsmen after them requires a lot of patience to carry the good start. 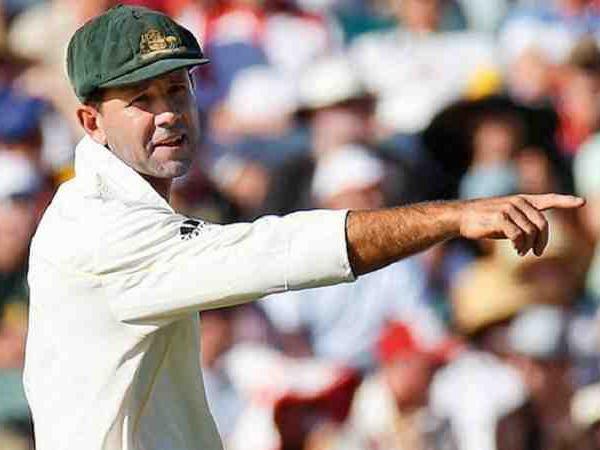 Ponting was an amazing batsman, who could rotate strikes and score boundaries in different situations. Most of the times, Gilchrist and Hayden would have given a good start, which will be taken ahead with the help of Ricky Ponting because the middle order batsman will have enough room to charge in the final overs effectively. 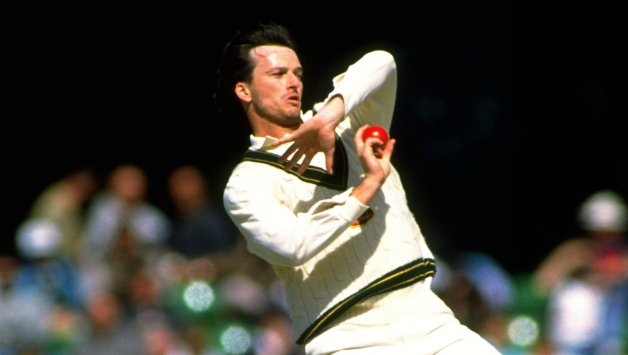 Steve Waugh was one of the quality all-rounders, who had the capability to bat and bowl in a professional way. The medium pacer has performed well in most of the matches by giving a decent amount of runs in every match. Though, he was not a specialist bowler but had the capability to pick wickets in both easy and difficult situations. The right-handed medium pace bowler takes the bowl only when the team is in dire need of it. He has grabbed a decent 92 wickets in tests and 195 in ODI over a span of 19 years career, which gave a title of an all-rounder in the team. Ricky Ponting started both batting and bowling in the initial stage of his career. As he focussed more on batting and there were plenty of bowler options in the team, he stayed back as a batsman in his last few years of the career. Ricky Ponting did a decent job in the bowling department, was never a specialist bowler to his side. Ponting has a mere 5 wickets in tests and 3 wickets in ODI throughout his career. As he never took up bowling aggressively, it is evident he never got more wickets. The fantastic character of Steve Waugh has made him captain to lead the team with all respects. The player proved once again by showing a class captaincy and winning a world cup after a long time. Australia was in a decent position in the world cricket ranking and he ensured to have a positive vibration among the team to perform well on a regular basis. The emotional motivation from the captain helped all team members to pull up their socks to play an effective game. Steve Waugh arrived as a captain during tough situations in the team. The team had the potential to take up any kind of challenge but was lacking the leadership elements. Steve Waugh was an experienced player and played an important role during the world cup. The team respected Waugh as a captain and followed instructions to take on to the world stage successfully. 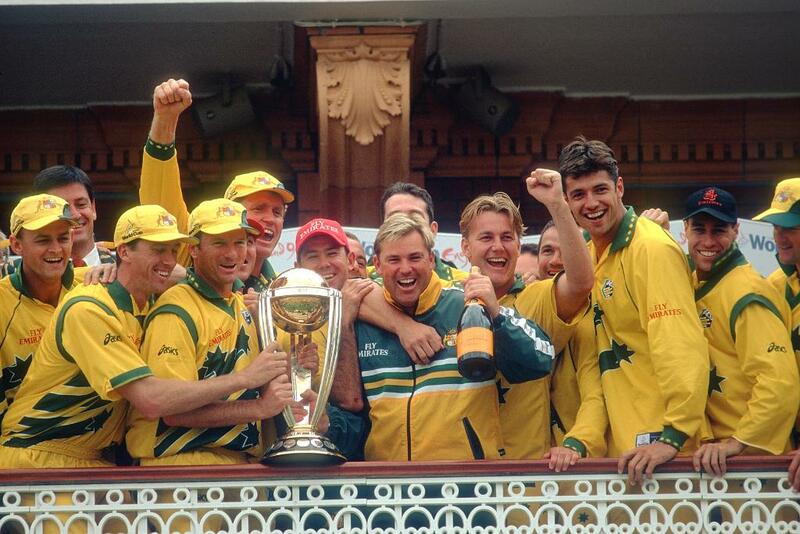 Steve Waugh guided Australia to win the world cup in 1999 for the second time in history. This gave a huge boost to the team and went on to win two more cups after that. One of the most successful captains in the world cricket was all set to take up a huge responsibility of the team because of his performance. Ponting was one of the important batsmen in the Waugh captaincy and played well in many matches to win titles. Ponting has a different kind of pressure, where he needs to show the accurate direction because of a world class team. Ponting went on to become the only captain, who managed to win world titles consecutively for two times. It is a known fact that the team was strong enough to dominate any team in the world. Ponting made sure to keep everything in track to push the boundaries of the expertise. Some of the top players like Gilchrist, Hayden, Warne, Mcgrath and so on gives him a boost to take any hasty decisions to change the game around.